Hillary Rodham Clinton on Tuesday was honored for her work helping those affected by HIV/AIDS. 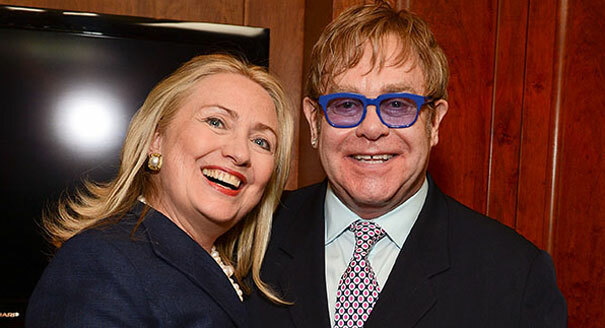 The former first lady and secretary of state accepted the first founders award from the Elton John AIDS Foundation at its annual event in New York City. Hillary Rodham Clinton on Tuesday was honored for her work helping those affected by HIV/AIDS. The former first lady and secretary of state accepted the first founders award from the Elton John AIDS Foundation at its annual event in New York City. The event, which raised $3.45 million, was attended by Billy Joel, Alec Baldwin, Lisa Marie Presley and Courtley Love and included a performance by Heart. Today anchor Matt Lauer hosted the event.